This document covers two routes steps to configure the Conversio Integration. 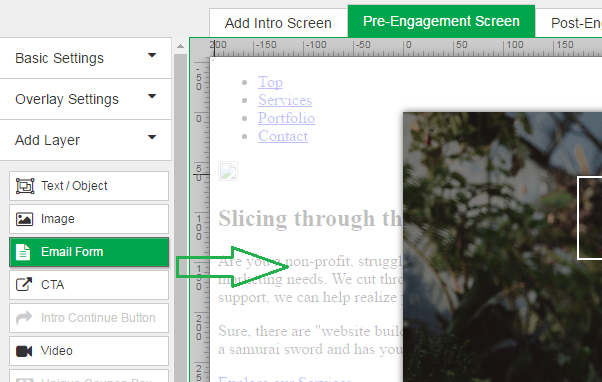 One via the Design Canvas and the other via our new Setup Wizard. Log in to Justuno and navigate to the Promotions tab. Name the Promotion and Click "Get Started"
In the video above, we show a quick demo of the Setup Wizard. You will notice the following section in the video. 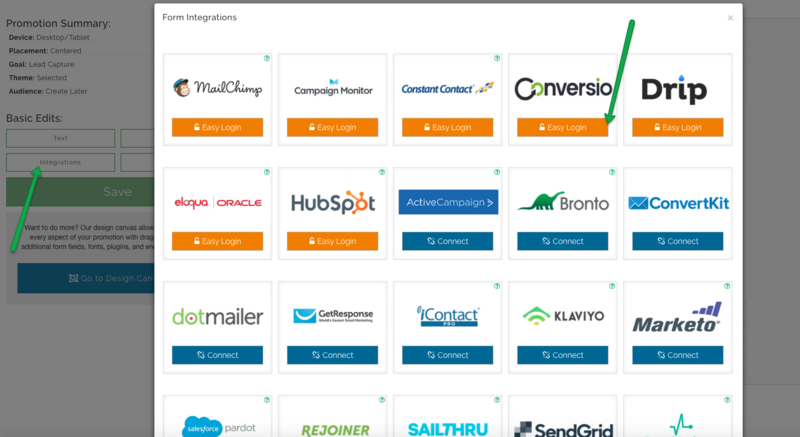 Once logged in, you can then proceed to the "Conversio Mailing List Selection" below. 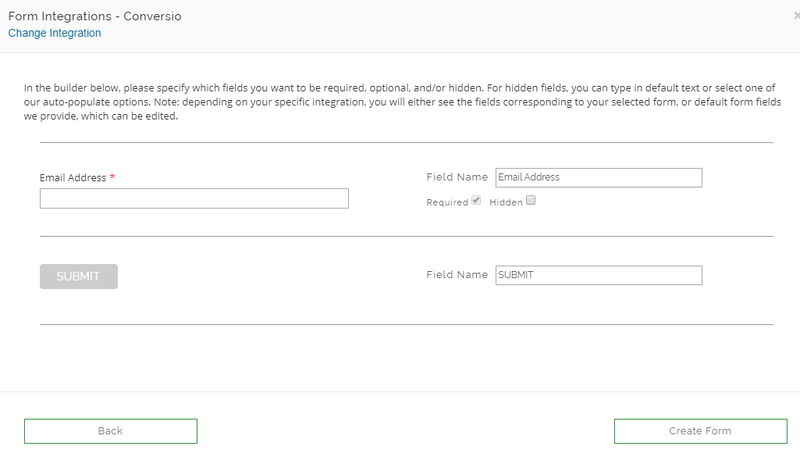 Note: If you have an existing email field on the form, click "Change Form" on the right, then click "Change Integration" at the top if needed. Click the “Conversio” tile and authenticate. 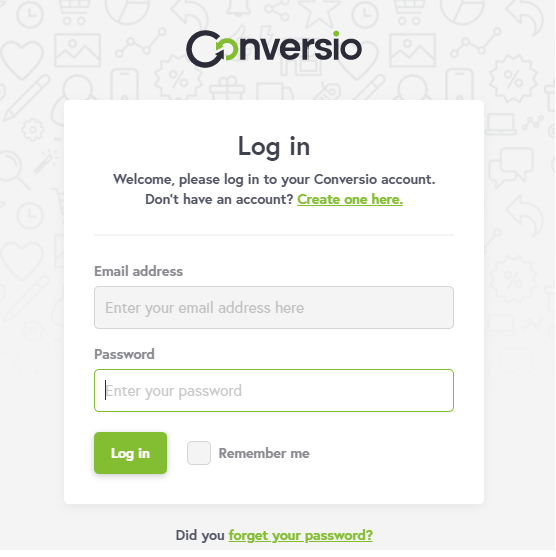 Enter your Conversio user name and password in the dialog that appears and accept the permissions to allow Justuno to add contacts to your Conversio account. Once authenticated, you will see your current Conversio Mailing Lists appear. 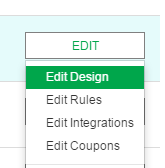 Select one list you would like contacts to be added to or create a new one. The new one will be added to your Conversio account and will be available for immediate selection. 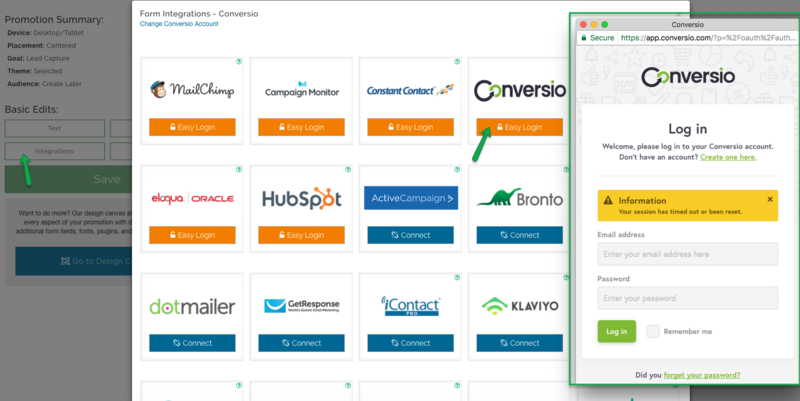 Conversio only supports adding email address to contacts at this time.